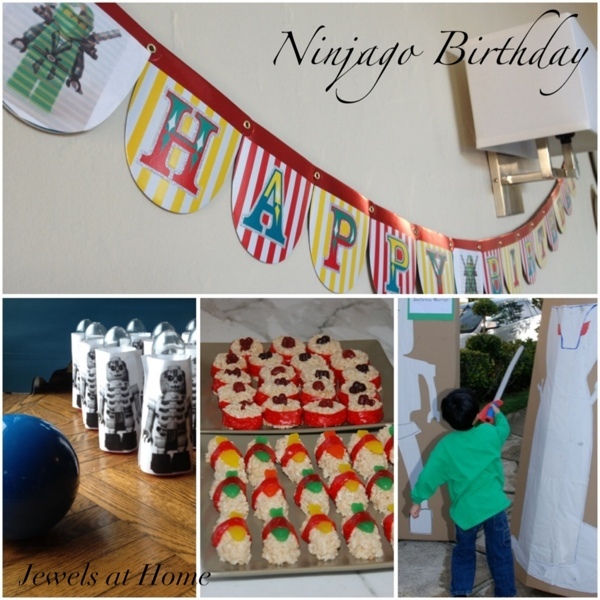 This past weekend, we put together a fun Ninjago-themed party for our seven year old’s birthday. 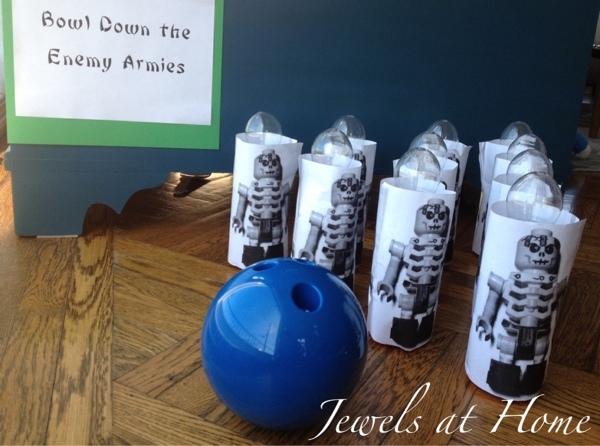 I already posted pictures and ideas for the decorations, food, and party favors, and here are some details on the activities that kept our army of Lego ninjas busy! I bought these foam swords at Hallowe’en for L’s ninja costume. They come as a mixed set of pirate and knight/ ninja swords. The pirate ones could easily be altered to look like the ninja swords by trimming the handles, but my kids didn’t seem to be particular about it. 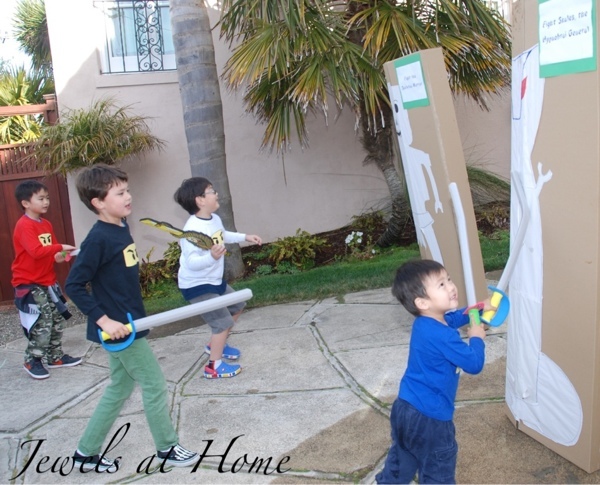 Our kids have played with the swords quite a lot in the past few months, and I’ve been impressed by how durable the they are and also how it seems pretty much impossible to hurt someone or break something with them (and I’m sure our good fortune will end with that statement…). Despite the fact that no physical harm has ever been inflicted, the swords have been the cause of some arguments and whining, neither of which I felt were suitable for a party, so I decided to direct the boys’ energy toward targets other than each other. Luckily, I had just been to Ikea to pick up a couple of things, so I had two large cardboard boxes to turn into training dummies for the party. The Skulkin skeletons and the Serpentine are the main enemies of the Ninjago (I learned a lot to put together this party! ), so I made one of each out of plain newsprint and glued them onto the boxes, adding some embellishment with markers. They’re each about five feet tall! 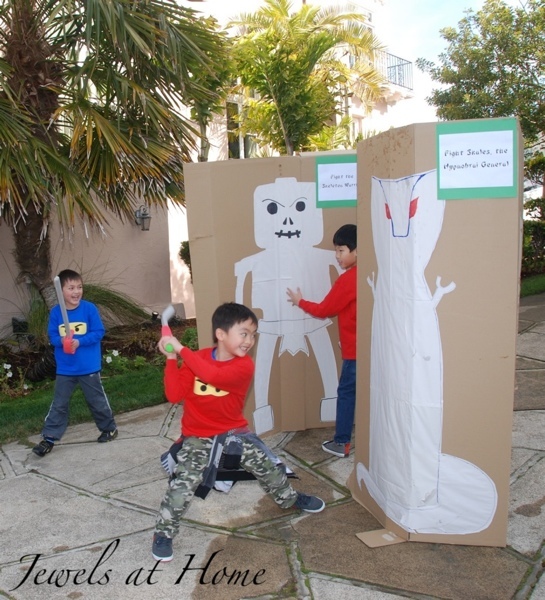 Skulkin and Serpentine sword fighting targets for a Ninjago birthday party activity. 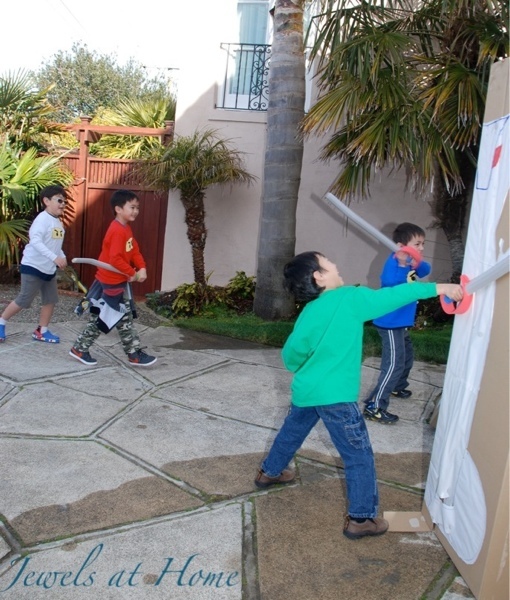 We set up the targets outside and let the kids take turns trying to knock them down. We quickly learned that we needed to draw a chalk line to delineate a “safe zone” for the kids waiting their turn, after the birthday boy got whacked by his older brother, who was aiming for General Skales. No harm done, but as I said, some – thankfully brief – tears and argument. 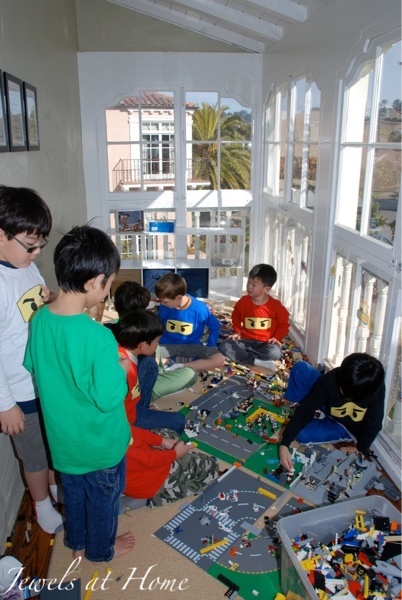 This activity was really beloved by our Ninjago guests. In retrospect, their war cries should probably have been saved for later in the party, as we may have woken some of our neighbors, but it was all in good fun. For this activity, I made a bunch of these origami ninja stars and put 3M clear mounting squares on the back. 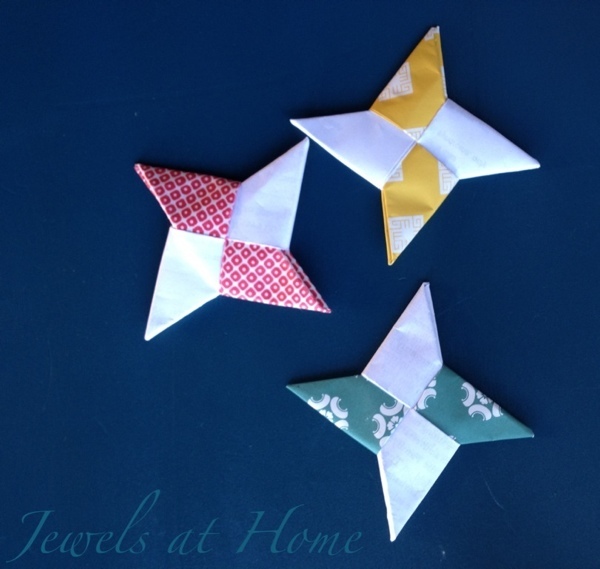 Origami ninja stars for Ninjago birthday party activity and party favors. I made a giant poster of Ninjago Lloyd ZX. It was very easy to print this image across multiple pages using a downloadable program called Poster Razor, and then I taped the pages together and and placed the outline of a ninja star in Lloyd’s hand. I laminated the front of the poster with clear contact paper, so the ninja stars could stick without damaging the poster. 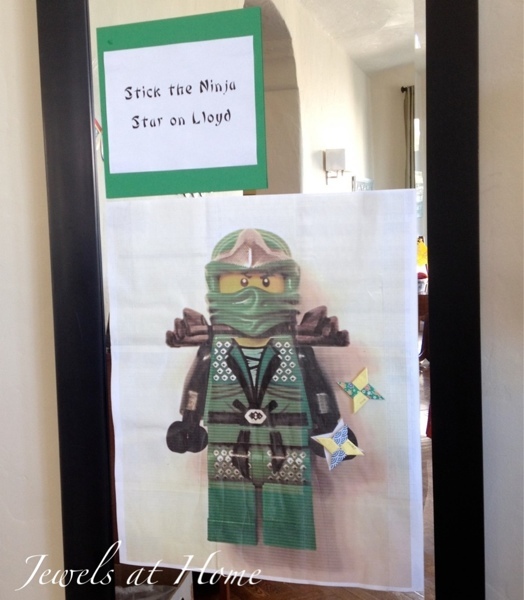 Stick the ninja star on Ninjago Lloyd. Not all the kids wanted to play this game, but those who did played over and over! We had to experiment with a few blindfolds and locations for the poster, as we had some very sneaky ninjas! Each Ninjago guest got to take one of these little stars home, too. Lego actually makes a Skeleton Bowling set, so I took this idea and decided to make a life-sized version. I was able to borrow this Little Tikes Totsports Bowling Set from our neighbor. 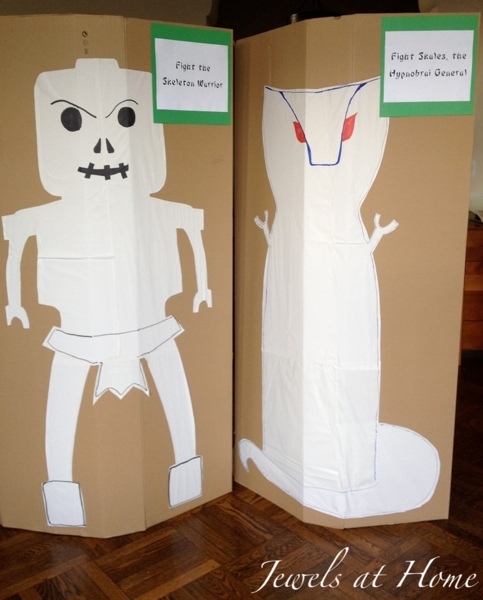 I then printed two Ninjago skeletons side by side across regular sheets of paper and wrapped and taped the paper around the bowling pins. 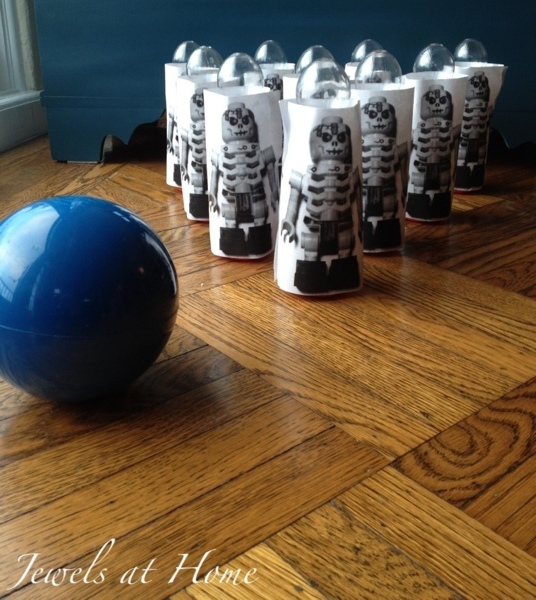 DIY life-sized Ninjago skeleton bowling game. I have to admit that the bowling game did not get a lot of attention at the party, although I suppose I can understand that the opportunity to whack things with swords was a bit distracting. Our toddler did have a lot of fun playing bowling the next day, though, as you can see. I think the kid has a future in pro bowling. Finally, let’s not forget the Lego itself! While we may grumble about how commercialized it has become since our childhood, I still think Lego is one of the best toys. Our kids can be occupied for hours making their own creations. Not surprisingly, the boys spent a lot of the party just hanging out with this classic toy. Looking for Lego sets for your kids or gifts? I have found great Ninjago and other Lego toys at big discounts on Zulily.com! 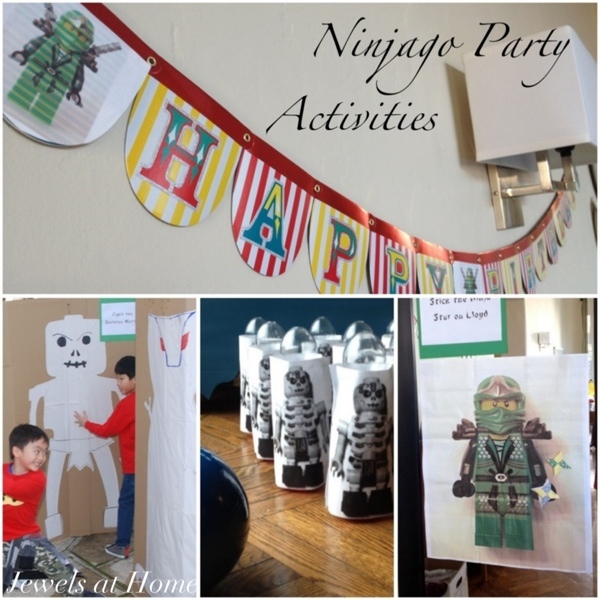 Well that’s the round-up of activities and fun at our Lego Ninjago birthday party. Don’t forget to check out the previous post for details on the decorations, food, and party favors.